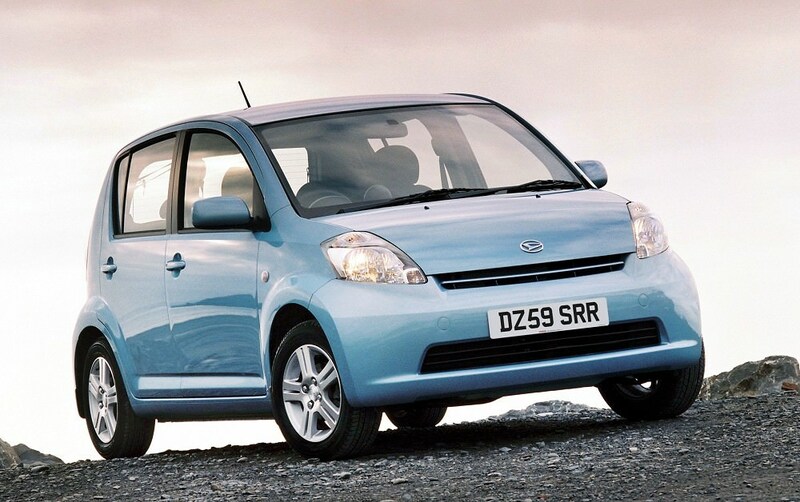 The Daihatsu Sirion is a tiny five-door city car, big on space despite its dinky dimensions. Most people won't have ever seen a Daihatsu Sirion, not just because of its tiny proportions, but because they never sold in huge numbers. Something of a small car specialist, the Sirion is sold, in international markets, under a number of different brands including Toyota and Subaru. It's a tiny five-door city car, though big on space despite its dinky dimensions. The Sirion was exported from Japan with a number of different engines, but only the 1.0-litre three-cylinder unit made it to Ireland. It delivers 70hp, which is plenty to allow the Sirion to keep up with the cut-and-thrust of city motoring. It's a little bit noisy at higher revs though, so the Sirion is not the most comfortable car outside the city limits. The suspension is on the soft side, meaning it rides bumps with ease, but there's a lot of body roll as a trade-off on more twisty roads. Where the Sirion is really clever is in its use of space. It might be a small car on the road, but it's deceptively spacious inside, with decent room even for rear-seat passengers. The boot isn't huge as a result, but it's a useful shape and access is decent enough. That functional remit is apparent inside, the dashboard is all very clear and simple, though the materials, while constructed robustly, aren't the last word in tactility. Specification is decent though, with most cars featuring air conditioning and electric windows. Superb economy is appealing, with 5.0 litres/100km officially quoted, its CO2 figure of 118g/km keeping it tax-friendly, too. There's only one engine, though there is a rare automatic gearbox. We'd have the manual though, in S or GX specification. A city car from the small car specialists, the Sirion might be tiny, but it's got useful interior space and will be cheap to run. Decent build and certain reliability count in its favour, as does its five-door practicality. A Fiat 500 is cuter, but the sensible choice is this Daihatsu.